Around a month from now, North Americans will be treated to a spectacular solar eclipse. But you can’t just run outside on your lunch break and take a peek without proper precautions. Let us help you prepare now to enjoy the solar eclipse safely. 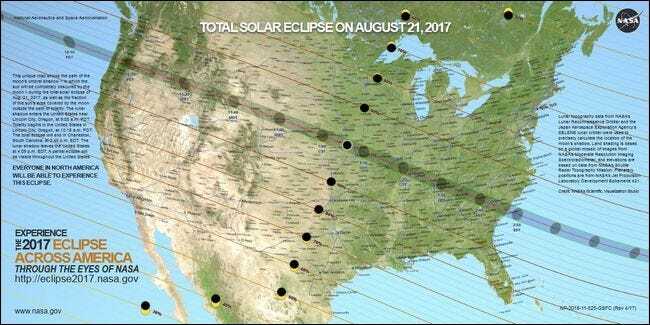 In case you haven’t heard, on August 21, 2017, all of North America will be treated to solar eclipse with the “path of totality”, where the sun is totally covered by the moon, stretching from Oregon all the way across the continent down to South Carolina. While solar eclipses happen all over the world with a relatively high degree of frequency, this particular solar eclipse is exciting for North American viewers for two reasons. First, it has been nearly a century since a total solar eclipse was visible across the contiguous United States (the last time it occurred was June 8, 1918). Second, an eclipse even remotely approaching this scope won’t be visible again in North America until 2045—for many people, the event truly is a once in lifetime occurrence. Even if you aren’t in the path of totality, you’ll still see a partial eclipse well into southern Canada and northern Mexico. The eclipse will occur as early as 10:18 AM for people observing it on the Pacific coast of Oregon, to as late in the day as late as 2:48 PM for those observing the eclipse on the Atlantic coast of South Carolina. If you want to know exactly when you need to be outside to witness the show, you can use this handy interactive map courtesy of NASA. 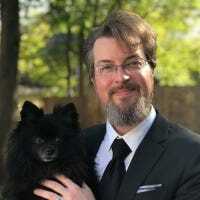 Let’s say, for example, you want to check what time you should go outside to observe the eclipse if you’re in Memphis, TN. Simply click on Memphis on the map, as seen in the screenshot below, and you’ll be treated to a readout of eclipse data for that exact point on the map with information about the start, the peak moment of the eclipse, the end, and the degree of obscuration (the closer you are to the path of totality, the higher the coverage). Do note that the times provided are in Universal Time (UT) using 24 hour notation. You need to subtract an offset from the UT to align it with your local time and adjust to 12 hour time—if you’re in EDT subtract 4 hours, in CDT subtract 5 hours, in MDT subtract 6 hours, or in PDT subtract 7 hours from the readout (when in doubt, use an online calculator to confirm the time difference). With that in mind, we can adjust the time for our Memphis location (which observes CST) to see that the eclipse will start at 11:52 AM, the peak coverage will occur at 1:22 PM, and the eclipse will end at 2:50 PM. Now that we know when the eclipse is occurring, we need to focus on how to observe it safely. Let’s get right to the point first: if you observe a solar eclipse without abiding by the safety precautions we’re about to outline, you can cause permanent and irreversible damage to your eyes, including potential blindness. Further, this damage can occur in seconds. There are only a few ways to safely observe a solar eclipse and failure to use proper precautions is a recipe for disaster. The reason solar eclipses can be so damaging to the human eye is twofold. First, despite the obfuscation of the sun, a large amount of ultraviolet light is still reaching your eye (and, because of the decreased brightness, your pupils are more dilated). Second, our desire to see something unique and interesting overrides the aversion we normally have to looking too long towards the bright sun and increases our exposure. With that in mind, in order to protect our eyes and still satisfy our curiosity, there are only two ways you can safely observe a solar eclipse: either directly with specialty eyewear, or indirectly by looking at eclipse with a pinhole viewer. There are only two forms of eye protection you can use to safely view the eclipse: ISO 12312-2 certified solar glasses or shade #14 welding goggles—only the #14 glass is dark enough. Do not use welding goggles with an unknown shade number, as there are many goggles that seem very dark upon casual observation but are not dark enough to protect your eyes. The same applies to sunglasses: even the darkest pair of sunglasses you own is not remotely dark enough to protect your eyes and, ironically, wearing them will actually make eye damage worse—your pupils will dilate behind them, allowing more damaging light from the eclipse to enter your eye. With that in mind, it is imperative to purchase proper eyewear. Thanks to the attention this eclipse has garnered, there are many people cashing in on selling eclipse glasses (many of which are offering inferior products). Don’t buy glasses at the last minute at a gas station or any random product you find searching online. Instead, purchase only glasses from companies that have properly ISO certified their products to ensure a safe experience. You can find packs of inexpensive disposable viewing goggles from American Paper Optics, Rainbow Symphony, Thousand Oaks Optical, and TSE 17—all four companies are endorsed by NASA. We highly recommend you order your glasses now, as it may become difficult to secure glasses as the eclipse approaches (especially if you’re buying multiple pairs for your family or friends). Once you have your glasses, it’s important to use them properly. Put them on while looking away from the sun and don’t remove them at any time during the observation of the eclipse if you are outside the path of totality. There is one small exception to the no-removal-rule. 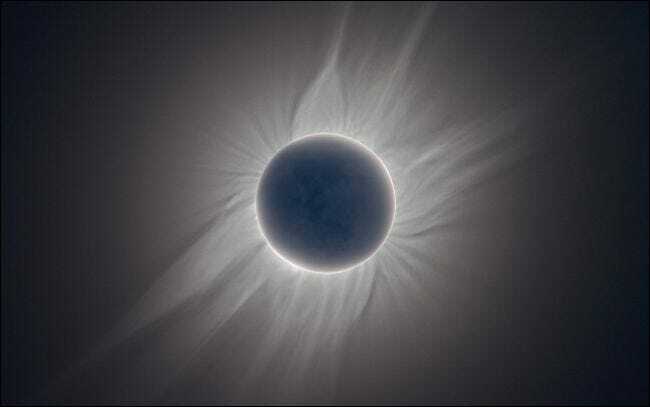 For around 2 minutes under the path of totality at the peak of the eclipse, the moon will completely block out the sun and the eclipse can be observed with the naked eye in a rather spectacular display. If you are not in the path of totality, however, the sun will never be completely blocked, and it will never be safe to look at it with the naked eye. If you’re unsure if it’s safe to look without your protective eyewear, then don’t do so—you can still see the eclipse with the eyewear in place. Finally, don’t wear glasses that are damaged in any way. If the lenses are scratched or the frames damaged on your eclipse glasses, do not use them—even a small scratch in the protective film can allow dangerous levels of light to enter your eye. If you didn’t get a chance to purchase glasses in time or if you prefer to do your eclipse watching in the safest possible manner (especially if you want to watch it with young children whom you’d prefer not look directly at the sun at all), you can easily and cheaply observe the solar eclipse with a pinhole viewer. The premise behind a pinhole viewer is simple: a pinhole in a sheet of opaque material can act as a lens and the projection of that lens upon another surface can be viewed indirectly with no risk to your eyes. We want to emphasize that last part very strongly: you never look directly through the pinhole itself, but instead look at the surface the light from the solar eclipse is falling. Here’s a demonstration video, courtesy of NASA’s Goddard Space Flight Center, showing how you can turn a cereal box into a solar eclipse viewer with nothing more than the box, a scrap of tin foil, a sheet of white paper, some tape, and a pin. The general principle outlined in the demonstration video above can be scaled and applied in all sorts of ways. You could turn a refrigerator box into a walk-in eclipse viewer, if you were so inclined, using the same principle. If you search YouTube for “pinhole eclipse” you’ll find a variety of tutorial videos outlining how to make eclipse viewers of varying sizes—one of our favorites, by far, is this terribly clever Pringles-can-as-eclipse-viewer tutorial. The most important element of using any pinhole observation method is to ensure that you (or the child you’re assisting) does not attempt to look through the pinhole directly, but instead only looks at the image of the sun projected on another surface. With these guidelines in place—only look at the eclipse with properly rated protective eye wear or indirectly through a pinhole viewer—you can safely enjoy the eclipse.